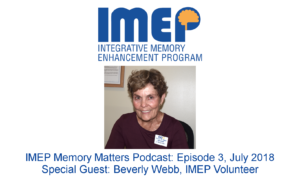 Our podcast is a monthly feature hosted by IMEP Program Manager Michele Sanchez. 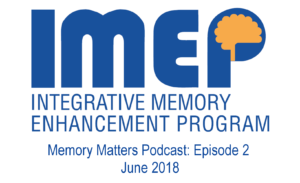 Listen in as we cover a full range of topics related to memory enhancement. 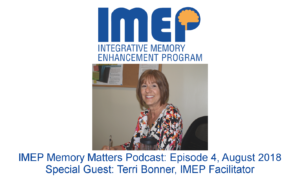 Michele Sanchez Michele Sanchez created the Integrative Memory Enhancement Program for St. Johns County Council on Aging in 2010. She developed the curriculum, trained facilitators, and successfully expanded the program to 8 locations throughout Florida. 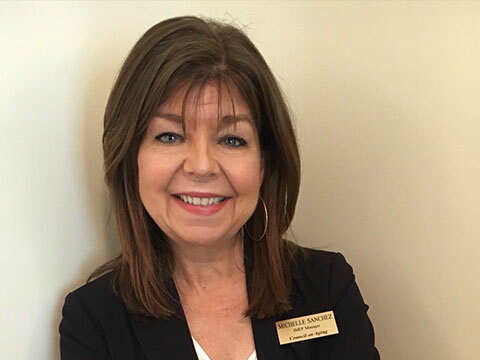 Michele currently manages the program, as well as develops the ongoing content, curriculum, programming, and activities.